The compact Mitee-Bite uniforce® clamp is available with extra material on the clamping jaws so it can be machined to conform to the shape of your workpiece - enabling you to fixture unusual applications easily. The specially designed steel wedge spreads the clamping force uniformly on both sides of the 7075-T6 aluminum channel. 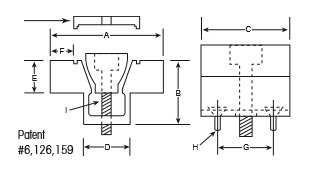 The locking plate properly expands the clamp, while making it rigid for machining. Machine to a slip fit of workpiece. remove locking plate before clamping workpiece. Note: When clamp is used to hold flat stock, use locking plate to machine faces parallel. ​#60100 Machinable Uniforce® Clamp Model 1000 with Locking Plate, Thread Size 5/16-18. Typicall..
​#80100 Machinable Uniforce® Clamp Model 1000 with Locking Plate, Thread Size M8. Typically shi..
​#60105 Machinable Uniforce® Clamp Model 1000 without Locking Plate, Thread Size 5/16-18. Typic..
​#80105 Machinable Uniforce® Clamp Model 1000 without Locking Plate, Thread Size M8. Typically ..
​#60150 Machinable Uniforce® Clamp Model 1500 with Locking Plate, Thread Size 1/2-13. Typically..
​#80150 Machinable Uniforce® Clamp Model 1500 with Locking Plate, Thread Size M12. Typically sh..
​#60153 Machinable Uniforce® Clamp Model 1500 without Locking Plate, Thread Size 1/2-13. Typica..
​#80155 Machinable Uniforce® Clamp Model 1500 without Locking Plate, Thread Size M12. Typically..
​#60200 Machinable Uniforce® Clamp Model 2000 with Locking Plate, Thread Size 5/8-11. Typically..
​#80200 Machinable Uniforce® Clamp Model 2000 with Locking Plate, Thread Size M16. Typically sh..
​#60203 Machinable Uniforce® Clamp Model 2000 without Locking Plate, Thread Size 5/8-11. Typica..
​#80205 Machinable Uniforce® Clamp Model 2000 without Locking Plate, Thread Size M16. Typically..
​#60050 Machinable Uniforce® Clamp Model 500 with Locking Plate, Thread Size 8-32. Typically ships i..
​#80050 Machinable Uniforce® Clamp Model 500 with Locking Plate, Thread Size M4. Typically ships in ..
​#60055 Machinable Uniforce® Clamp Model 500 without Locking Plate, Thread Size 8-32. 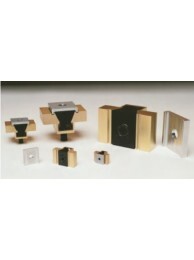 Typically ship..
​#80055 Machinable Uniforce® Clamp Model 500 without Locking Plate, Thread Size M4. Typically ships ..
​#60075 Machinable Uniforce® Clamp Model 750 with Locking Plate, Thread Size 1/4-20. Typically ships..
​#80075 Machinable Uniforce® Clamp Model 750 with Locking Plate, Thread Size M6. Typically ships in ..
​#60080 Machinable Uniforce® Clamp Model 750 without Locking Plate, Thread Size 1/4-20. Typically sh..
​#80080 Machinable Uniforce® Clamp Model 750 without Locking Plate, Thread Size M6. Typically ships ..